Toyota is going to celebrate 2020 with a brand-new Corolla. 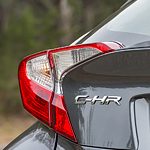 The fully-redesigned model update of this popular compact car is sure to turn heads on roads everywhere. The Corolla experts at Wills Toyota are eager to demonstrate to you all of the unique features of this venerable vehicle. Choices abound for drivers looking to personalize their new Corolla to their exact preferences. Drivers can choose from a myriad of exciting exterior color choices, such as the bold Barcelona Red Metallic, the clean Blizzard Pearl, or the sharp Black Sand Pearl. 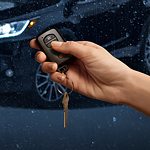 When you're in the market for a new car, you probably have a "dream" wish list that includes reliability, fuel efficiency, performance and styling. The 2019 Toyota Avalon delivers on all fronts. The Avalon has long been popular as a comfortable sedan with modern styling. The 2019 upgrade includes even more sporty details. The sport-styled mesh grille is the perfect complement to the LED front headlights with dynamic turn signals. Those lights don't just look good. They're part of Toyota's commitment to safety. 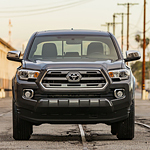 Having a modern off-road design, the 2019 Toyota Tacoma is loaded with durable features. Available for test drives at Wills Toyota, this pickup truck has advanced safety amenities for navigating highways and trails. Let's explore some of the highlights of the signature Safety Sense P suite. If you'd like to maintain a specific following distance on the road, use the Dynamic Radar Cruise Control. You can select several settings for this highly responsive cruise control system, which utilizes cameras and radar sensors to monitor traffic movement. There are so many reasons why Toyota drivers are turning to the Toyota Certified Pre-Owned program for their next vehicle. This program has been around since 1996 and is a great way to maximize value in your next car purchase. The Toyota Certified Pre-Owned program is a way to ensure that your next pre-owned car meets essential quality standards. Every vehicle sold as Toyota Certified Pre-Owned has already been vetted by a Toyota trained mechanic through a multi-point vehicle inspection. They will never have more than 85,000 miles and are part of the Toyota warranty program. 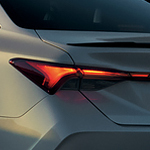 The 2019 edition of the Toyota Corolla features a sporty style that begins with its front fascia design and ends with its rear spoiler. The distinctive front grille and bumper design shows off its fun-loving attitude to on-lookers. The Corolla's headlights also add to that look with multi-LED headlamps and accent lights that make you noticeable whenever you turn them on. They may be slim and compact, but their LEDs produce more light and use less energy than traditional headlamps. At Wills Toyota, we have your safety in mind as well as your driving experience. That's why we're proud to include Toyota's 2019 C-HR in our lineup this year. The safety achieved by Toyota's cutting-edge smart technology makes you a more confident driver. The C-HR's suite of safety technologies keep you aware of your surroundings and alert you to possible hazards as they happen. The Standard Toyota Safety Sense package includes their Full-Speed Range Dynamic Radar Cruise Control, Pre-Collision System, Automatic High Beams, and Lane Departure Alert with Steering Assist. Many car makers give peace of mind to their customers by providing onboard safety monitoring services. 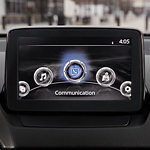 Toyota offers its drivers its proprietary Safety Connect, a subscription service for new vehicle models that can provide round-the-clock monitoring of your car. No modern sports car is complete without some great interior trim options. 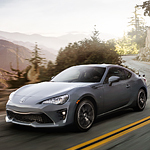 The new Toyota 86 has you covered. 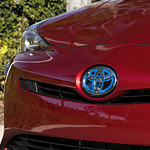 It's available at Wills Toyota with a unique material that's soft and sporty. You should drive a vehicle that means a lot to you and that offers you all of the features that you are seeking. The Toyota Yaris is a popular subcompact car and it is set up with all kinds of technology features to keep you happy. SiriusXM satellite radio can make any trip that you take feel a little shorter and a little more fun. 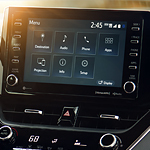 When you purchase the Yaris, Toyota allows you to connect to SiriusXM so that you have access to your favorite music, ball games, and talk shows while you are on the go. Since its introduction onto the marketplace the Toyota Prius has been a highly popular hybrid. Indeed, it is considered to be an industry leader. A key reason why Toyota Prius is so highly regarded is because of its safety features. 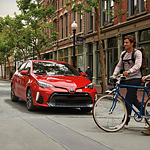 The top-of-the-line Toyota Prius safety features include its incomparable pre-collision system with pedestrian detection. The system prompts you both with audio and visual alerts. Our team at Wills Toyota in Twin Falls might suggest that the system is rather like having a second set of eyes assisting you on the road.